Moody's is getting under the skin of the Indian government. 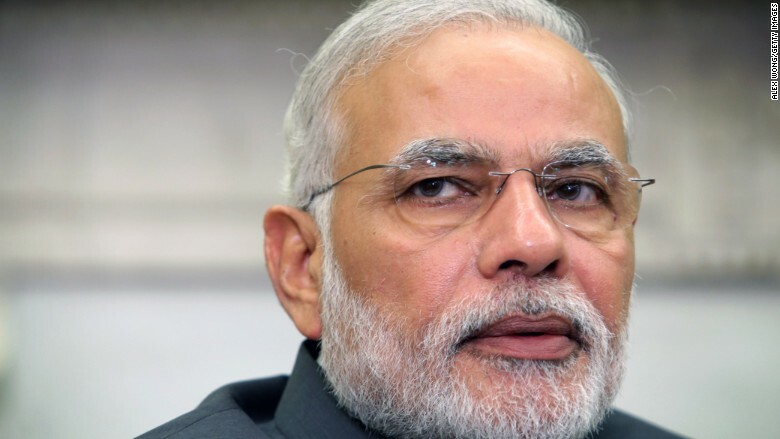 India's Press Information Bureau dismissed Thursday a Moody's Analytics report that urged Prime Minister Narendra Modi to do more to prevent "belligerent provocation" of religious minorities by his political allies. The report, written by economist Faraz Syed, warned that rising religious strife could derail Modi's reform agenda. The Indian government described the report as merely "the personal opinion of a junior associate economist." Modi has been criticized for his slow response to the murders of several Muslim men accused of eating beef or slaughtering cows. The most recent killing occurred Monday, when a 55-year-old man was beaten to death by a mob after being found in a neighbor's cowshed. Some officials in Modi's Bharatiya Janata Party have suggested that Muslims should not eat beef or otherwise offend the religious sensibilities of Hindus, who consider cows to be sacred. India has 175 million Muslims, more than the combined populations of Iran, Iraq and Saudi Arabia. A nationwide debate has erupted over the issue. Artists and intellectuals say the party's push to strengthen protection for cows is contributing to the violence, while prominent business leaders have warned that economic progress is being put at risk. Moody's Analytics, which is separate from the company's credit ratings division, has been among the most forceful critics. In last week's report, Syed wrote that Modi's government "hasn't helped itself," and he warned of "a possible increase in violence" that could endanger reforms. "While Modi has largely distanced himself from the nationalist gibes, the belligerent provocation of various Indian minorities has raised ethnic tensions," Syed wrote. "Modi must keep his members in check or risk losing domestic and global credibility." Following criticism from the government, the company defended Syed, saying his report "is the view of Moody's Analytics." CNN: Is India becoming intolerant? The criticism isn't coming just from international observers. Last week, Infosys (INFY) founder N.R. Narayana Murthy become the first prominent business leader to speak out, telling local media of the "considerable fear in the minds of minorities in India." Reserve Bank of India Governor Raghuram also made an unusual appeal for tolerance, warning the economy would never reach its potential if debate is stifled. The central banker did not call out specific officials or political parties, but his comments were interpreted by many observers as a rebuke to Hindu nationalists. Several dozen writers and artists, concerned over what they describe as an atmosphere of intimidation, have returned government awards in protest. Arundhati Roy, who won the Man Booker Prize in 1997 for "The God of Small Things," sent her National Award for Best Screenplay back to the government on Thursday. "Whole populations -- millions of Dalits, Adivasis, Muslims and Christians -- are being forced to live in terror, unsure of when and from where the assault will come," the author and activist wrote in The Indian Express. Finance minister, Arun Jaitley, has dismissed the critics as political opponents and activists who couldn't get used to the idea of Modi's party being in power. "They wish to project India as an intolerant society," he said in a Facebook post. "The truth is otherwise."